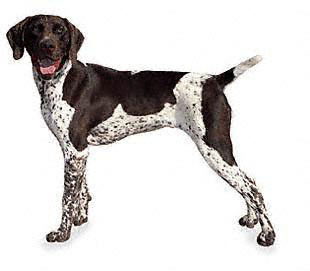 The German Short haired Pointer was developed in Germany for the purpose of hunting during the 19th century. It is good for working on land as well as in water. It has tough legs with webbed feet which allow it to move fast and turn swiftly. They have a balanced body with a slim body and a fine (elegant) head.